The MaxiCheck Pro service tool, based on Autel’s latest diagnostic platform, is simple and easy to use. It is specially designed for professional technicians and body shops to service individual specialized systems, such as EPB, Oil Service, ABS, SRS, BMS, DPF and more. MaxiCheck Pro, based on Autel's latest diagnostic platform, is simple, easy to use, and has been designed for professional technicians and body shops to service individual specialized systems. The MaxiCheck Pro provides a quick and easy solution to everyday tasks in the workshop that cannot be completed without a diagnostic tool. The MaxiCheck Pro is perfect for technicians and garages, as they are so easy to use and affordable. Electronic Parking Brake (EPB)and Anti-Lock Braking System (ABS) Designed for safe and professional replacement and recalibration of brake pads on a growing number of vehicles with electronic hand-brakes. 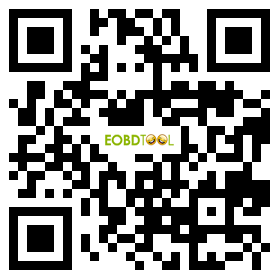 This tool automatically links up with the control module by connecting to the vehicle's OBD II port. By disengaging the brake system it increases safety with the push of a button. Eliminating the need to use expensive OE diagnostic systems to to the job on EPB systems makes the tool a time saver and a money maker! In addition, it is designed to enable the technician to read and clear ABS trouble codes. Enables a technician to read and clear trouble codes, and also reset airbag and SRS warning lights. Perfect for body shops. Enables the resetting of service lights, service mileage, and service intervals on a range of vehicles including the latest BMW, Mercedes, Volvo, VW/Audi, Fiat, etc. This is a time and money saver for the service garage to have the service light turned out without using the expensive OEM scan tool.